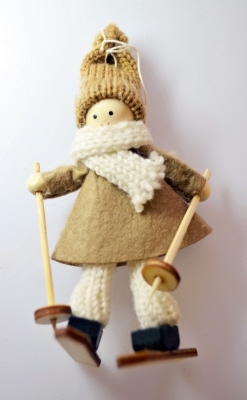 A handmade felt girl skier decoration including little wooden skis and ski poles. The decoration is finished with a white cotton loop. Mesaures 130mm high x 60mm wide.